Following the success of the PNG LNG development, the outlook for PNG’s energy sector remains positive, with attractive investment opportunities arising in the oil, gas and power markets. As PNG develops its National Gas Commercialisation Strategy, the PNG government considers how it can advance its financial infrastructure to gain international investment and provide third party access regimes. 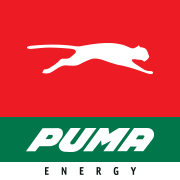 Set against this transitioning energy landscape, the 2nd Papua New Guinea Petroleum and Energy Summit 2018 takes place from 19-21 March, and will be held under the patronage of Prime Minister Peter O’Neill, and endorsed by the Minister of Petroleum Dr Fabian Pok and Sam Basil, Minister of Communications, Information Technology and Energy. “I urge all the companies involved in the country’s energy sectors to be involved in the event, and new companies seeking opportunities to come and explore them at the Summit”, Mr O’Neill said. The Summit brings together senior government officials from the Ministry of Petroleum and the Ministry of Communications, Information Technology & Energy, and all the major industry players working in PNG, to discuss current energy projects and the future strategies for expansion. Key industry players and sponsors attending include Kumul Petroleum Holdings Limited, Exxon Mobil and PNG LNG, LNG Japan Corporation and Sojitz, Total, Oil Search and MRDC. The Summit will look to address the current opportunities and projects in PNG’s petroleum and energy industry through a focused content programme taking place over two days. – Current energy outlook and plans for PNG’s petroleum and energy regulator. – Power sector: progress towards reliability, affordability & access. – Key operators: hear the latest information on existing and new projects. – Latest updates from the National Gas Commercialisation Strategy.